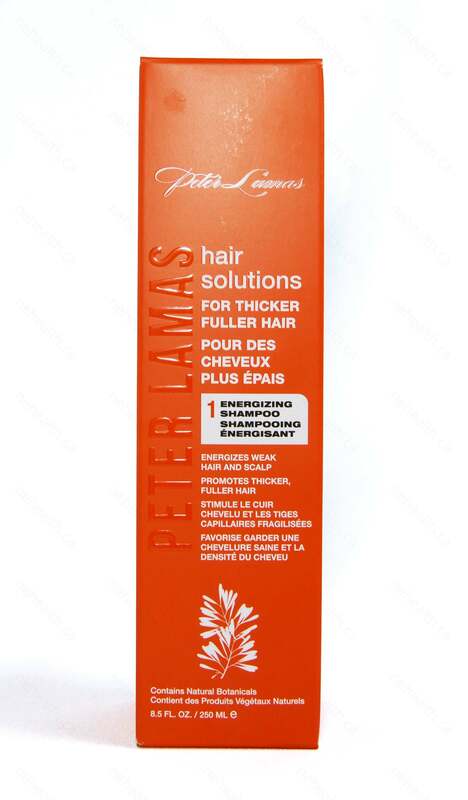 Peter Lamas botanically-rich formula is empowered with rare Chinese Herbs – used in Traditional Chinese Medicine – to help stimulate the scalp and promote healthy, thicker-looking hair. 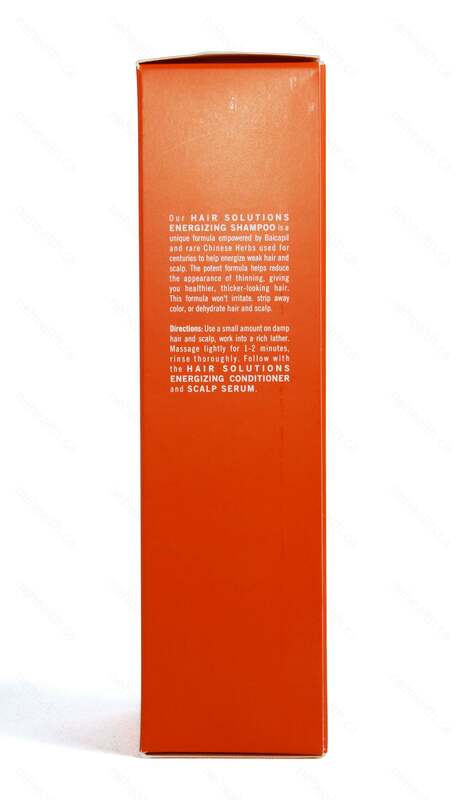 The Hair Solutions Energizing Shampoo combines a potent mix of energizing ingredients – Apple Stem Cells, Baicapil, Biotin (Vitamin B7), and antioxidants - with our proprietary Chinese Herbs blend. The powerful formula helps remove hair follicle-blocking sebum and inhibits DHT buildup - a hormone that can slow hair growth. Baicapil helps increase scalp circulation to give you healthier, fuller-looking hair. Purifying Eucalyptus Oil and Aloe Vera Leaf helps soothe itching, flaking and scalp irritations while White Tea Extract, Peppermint Oil and Ginger Root provides powerful antioxidant protection. Inhibits DHT build-up – a cause of premature hair loss. 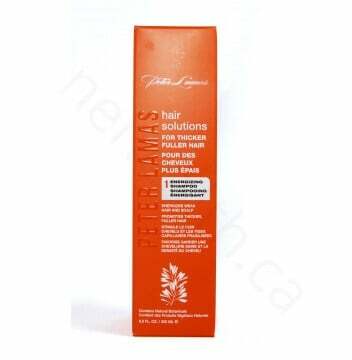 Dissolves oil and debris that clog hair follicles. 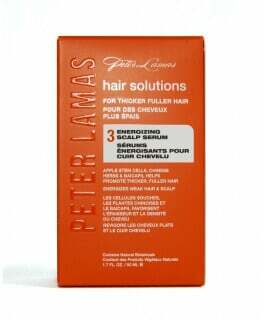 Stimulates scalp to help give you thicker, fuller-looking hair. Water/Eau, Sodium Lauroyl Methyl Isethionate, Cocamidopropyl betaine, Glycerin, PPG-2 Hydroxyethyl coco/isostearamide, Polyquaternium-7, Sodium cocoamphoacetate, Malus domestica (apple/pomme) fruit cell culture extract, Biotin, Codonopsis tangshen root extract, Glycyrrhiza glabra (licorice/réglisse) root extract, Paeonia albiflora (peony/pivoine) root extract, Polygonum multiflorum extract, Prunus persica (peach/pêche) seed extract, Zingiber officinale (ginger/gingembre) root extract(4), Arctium majus (burdock/bardane) root extract, Panax ginseng (ginseng) root extract, Acetyl tyrosine, Arginine, Lactic Acid, Tocopherol, Citrulline, Zinc gluconate, Glucosamine HCl, Hydrolyzed soy protein/Protéine de soja hydrolysée, Ornithine HCl, Calcium pantothenate, Niacinamide, Panthenol, Urtica dioica (nettle/grande ortie) extract, Melissa officinalis (lemon balm) leaf extract(3), Punica granatum (pomegranate/grenade) extract(3), Hydrolyzed Kale Protein/ Protéines de Chou Frisé Hydrolysées, Hydrolyzed Carrot Protein/ Protéines de Carotte Hydrolysées, Camellia Sinensis (White Tea/ Thé Blanc) Leaf Extract(3), Leuconostoc/Radish Root Ferment Filtrate/ Filtrat Fermenté de Racine de Radis et Leuconostoc, Glycine Soja (Soybean) Germ Extract/ Extrait de Germe de Glycine de Soja, Triticum Vulgare (Wheat/ Blé) Germ Extract, Scutellaria Baicalensis Root Extract, Extrait de Racine de Scutellaria Baicalensis, Foeniculum Vulgare (Fennel/ Fenouil) Fruit Extract(4), Aloe barbadensis (aloe vera) leaf juice(1), Mentha piperita (peppermint) oil, Lavandula angustifolia (lavender) oil, Eucalyptus globulus leaf oil, Lauryl glucoside, Glycerin, Sodium cocoyl glutamate, Sodium lauryl glucose carboxylate, Gluconolactone, Calcium Gluconate, Propanediol, Hydrolyzed oat protein/Protéine d'avoine hydrolysée, Sodium PCA, PEG-12 Dimethicone, Polyquaternium-1(1) Sodium phytate, Xanthan gum, Lecithin, Citric acid, Sodium benzoate, Potassium sorbate, Sodium formate, Phenoxyethanol, Caramel. 1) Certified Organic BCS Oko-Garantie GmbH. 2) Certified Organic by Quality Assurance International (QAI). 3) Certified Organic by Stellar Certification Services, Inc.
4) Certified Organic by Oregon Tilth. Use a small amount on damp hair and scalp, work into a rich lather. Massage lightly for 1-2 minutes, rinse thoroughly. 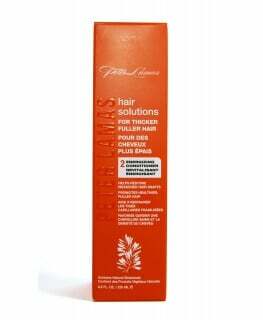 Follow with the Hair Solutions Energizing Conditioner. 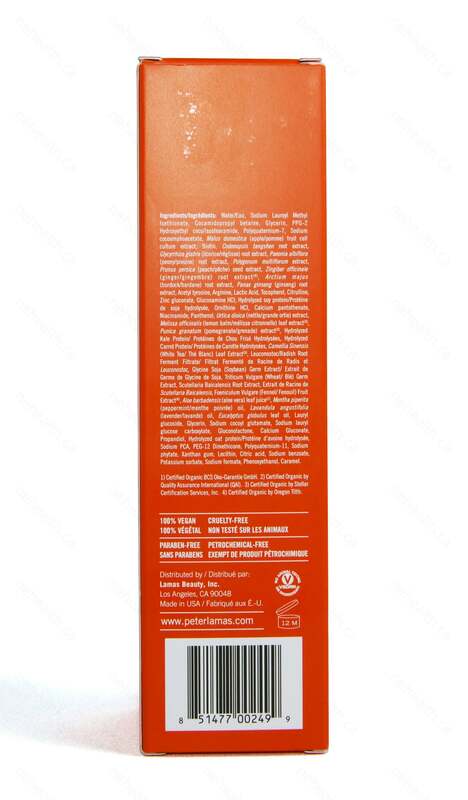 For maximum benefits, use entire Hair Solutions Energizing System.